Can Corporations Blush From Embarrassment? Flush from the Supreme Court's expansive reading (pdf) last term of corporate personhood in Citizens United v. Federal Election Commission to include the First Amendment right to contribute to federal elections, and free from even the fairly modest restrictions in the McCain-Feingold campaign-financing law, corporations are now seeking to expand their rights of personhood to include the right to privacy. Last week AT&T came before what it hoped would be a sympathetic Supreme Court to argue that it is entitled to the exemption in the Freedom of Information Act that protects against the disclosure of some private information about individuals. The exemption invoked by AT&T — exemption 7(c) — excludes information collected by law-enforcement agencies that might "constitute an unwarranted invasion of personal privacy" from the requirement of mandatory disclosure under the FOIA. The information sought about AT&T pertained to a government program administered by the Federal Communications Commission. The program, known as the "E-rate program," was designed to improve and upgrade advanced technology in elementary and secondary schools. AT&T won the contract for the program, provided services to elementary and secondary schools, and billed the federal government. To its credit, in August 2004 AT&T informed (pdf) the FCC that because of "certain irregularities" in its own practices, AT&T believed that it had overbilled the government for E-rate services. The FCC undertook its own investigation and sought records and other information from AT&T, which AT&T provided. The dispute was settled by a consent decree in which AT&T agreed to pay back to the FCC a half-million dollars and to create a compliance plan that would govern AT&T's work for the FCC going forward. Then ComTel, a communications trade association, filed a FOIA request with the FCC seeking all of the information and material associated with the E-rate program. The FCC's Enforcement Bureau provided information, but AT&T objected to some disclosures on the grounds that disclosure would violate the corporation's "personal privacy." The 3rd Circuit Court of Appeals reviewed the case and agreed with AT&T (pdf). Like a patient grammar teacher, Judge Michael Chagares explained that, as used in exemption 7(c), " 'personal' is the adjectival form of 'person.' " According to the court, "it would be very odd indeed for the adjectival form of a word not to relate back to that defined term" (emphasis in original). Thus, the court concluded that because corporations are legal "persons," exemption 7(c) by its text "unambiguously" includes corporations. And if the grammar argument wasn't convincing enough, the court added an emotional appeal, arguing that "corporations, like human beings, face public embarrassment, harassment and stigma" as a result of FOIA disclosures. Yes, we have reached the surreal. It's only a matter of time before corporate mergers are regarded as private marital relations that cannot be unreasonably infringed by the government's antitrust laws. It's astonishing to realize that the idea of corporate personhood first derived not from a finding in a case but from the comment of a Supreme Court justice at oral argument in a case decided 127 years ago. In Santa Clara County v. Southern Pacific Railroad Co., Chief Justice Morrison Waite is reported in the syllabus notes leading to the opinion to have derided arguments suggesting that the equal-protection clause of the 14th Amendment does not protect corporations as it does "persons." Although not an official part of the opinion, the notes of the argument set out in the syllabus quote Chief Justice Waite as concluding, "We are of the opinion that it does." It may be warranted to ascribe to corporations some of the rights of personhood that are undoubtedly encompassed in the 14th Amendment's guarantee of equal protection to all "persons." Arbitrary and unequal legislation against corporations or against some corporations would certainly violate the rights of corporations. It is worth remembering that corporations can, after all, be made up of as few as one or two people. In this sense, corporations have long been regarded as "artificial persons." But to suggest that a fair reading of the 14th Amendment imagines that a state-created legal entity is entitled to the same protections as an individual person is to turn the 14th Amendment on its head. The AT&T case demonstrates the fallacy of treating corporations as natural persons. The interest in privacy of an individual differs vastly from that of a corporation. The "personal privacy" exemption in 7(c) was not created to protect individuals from legal liability for wrongdoing, or even to protect against disclosures that might have adverse financial consequences for an individual. The exemption is, at its core, an effort to balance the value of transparency with the right of every individual to live with a reasonable expectation of some privacy. The shame and embarrassment that human beings feel when private information is publicly disclosed derives from our sense of human dignity. This cannot be measured against the "public embarrassment" of a corporation, for which harm can be measured only in the potential blow to the financial stability or legal liability of a corporate entity. Corporations don't have dignity or feelings of any kind. Corporate officers may have feelings, but exemption 6 already protects against the release of individuals' personnel or medical records. And the corporate bottom line is protected by exemption 4, which protects against the disclosure of corporate "trade secrets." Moreover, since it was enacted in 1966, the FOIA has proved to be a critical tool in promoting governmental transparency — a key component of a functioning democracy. 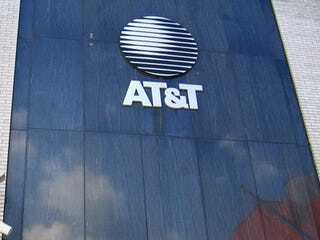 The price for private corporations like AT&T of doing lucrative business with the government — as AT&T did with the E-rate program — is that information generated in connection with that government work may be subject to public disclosure through the FOIA. What AT&T seeks is yet another vastly expanded definition of corporate personhood. Such a definition wouldn't protect just AT&T from disclosures sought by ComTel (a trade organization that includes some of AT&T's competitors); it would also protect hundreds of corporations that do business with the government from disclosures sought by individuals and organizations seeking to monitor the integrity and legality of our government's relationship with corporations. It was good to hear the justices at oral argument in the case — including some of the most conservative justices — respond skeptically (pdf) to AT&T's privacy argument. Chief Justice John Roberts' dismantling of the 3rd Circuit Court's "grammar logic" was especially gratifying. The latest effort to expand corporate personhood may fail before the Supreme Court, but it is apparent that Citizens United has emboldened a corporate community that is prepared to stretch the boundaries of corporate personhood to the limit. Sherrilyn A. Ifill, who teaches at the law school of the University of Maryland, writes about the law for The Root.